Returning from war is not always an easy transition. Often our men and women in uniform have special challenges to tackle. Those who suffer from injury or Post Traumatic Stress Disorder (PTSD) face even more of an uphill climb. One veteran who knows all about PTSD is offering some unique support for his military brothers and sisters. Rob Mitchell is the founder of Full Battle Rattle, a non-profit organization that provides music therapy for our brave veterans. Those suffering from combat-related disabilities learn to play music free of charge. “We teach vets to play guitar, drums, bass, and keyboards,” Mitchell said. Through this extraordinary program, veterans find a constructive outlet. In Mitchell they find a trusted friend. “I’m someone who has been through the same things, so it’s not just lip service to the vets,” Mitchell told Breitbart Sports. Mitchell is a hero. He served in uniform for seven years. During that time he was struck by three roadside bombs and survived countless mortar attacks. Now, Mitchell copes with PTSD and a mild brain injury. Despite all of these obstacles, Mitchell didn’t stop serving us when he returned stateside. He actually served as a police officer in New Mexico for better than six years. During that time his heroism continued to surface. Mitchell received awards for a gun battle with a homicide suspect and later helped saved several people from a fire including a baby. Today, Mitchell is a hero to veterans through Full Battle Rattle. The group pairs veterans who qualify with instructors. The vets also receive an instrument. The musicians teach the vets how to play. If you need any proof as to whether this approach helps, look no further than Mitchell. After Mitchell started to show signs of PTSD after working at an Air Force base, he went into deep depression. There was a time that he didn’t even feel like talking to his wife or playing with his two beautiful children. Something had to give. Mitchell picked up a guitar and started to teach himself some chords. Before long he was back to being Rob. “I remember breaking out of a silence and suddenly asking my wife about what was for dinner,” Mitchell recalled. In order to assist others in a similar fashion, Mitchell called on a musician friend and asked him to teach vets to play music. Full Battle Rattle became a reality. Ever since, Mitchell has been helping himself and others. People are donating money and time to the cause. Musicians are stepping up too. Even JD Morgan, Missing Stateside’s lead man and cousin of former Alaska Governor Sarah Palin, has lent his musical expertise to Full Battle Rattle. Full Battle Rattle provides opportunities for vets everywhere. Those that do not live near an instructor can still have an instrument shipped to them and learn to play over the computer. 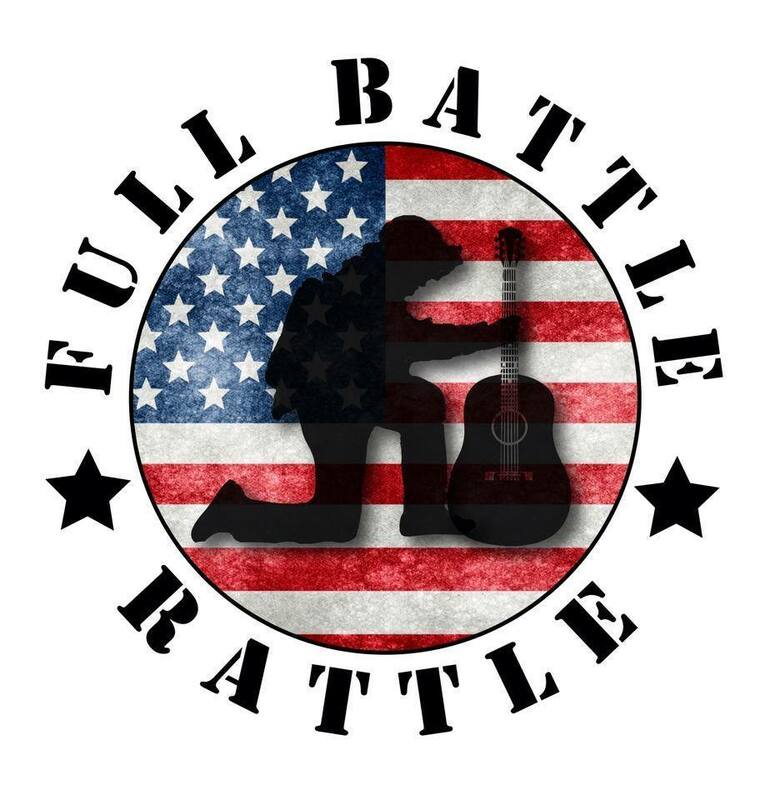 For more information on Full Battle Rattle, including how to sign-up, volunteer, or donate, email fullbattlerattleabq@gmail.com. To hear Rob Mitchell’s interview on Mama Grizzly Radio visit www.mamagrizzlyradio.com.